DON'T SHIP IT, ZIPP IT! Zipp Express can design a service program to meet your company’s special needs. Our warehouse offers 40,000 sq. ft. and is centrally located to service the St. Louis area. Zipp Express services a 150-air mile radius of STL and holds 48-state authority for expedited runs. Locally owned and operated since 1989, Zipp Express provides solutions for all of your courier needs. Zipp Express will meet your every need. We service a 150-air mile radius of STL and hold 48-state authority for expedited runs. Zipp Express drivers are TSA compliant and hazardous material certified. Our state of the art technology offers real time tracking, signature capture and POD notification by email. Zipp Express uses dedicated vehicles to deliver your important items. From small envelopes, to larger packages, Zipp Express in St. Louis gets it where it needs to be. We offer various options for delivery service, including rush courier service, 3-hour and next day, along with scheduled daily, weekly, and monthly delivery service. Zipp Express’s centrally located warehouse offers 40,000 square feet of space to service cargo coming in and out of St. Louis Lambert airport or being trucked from various places around the United States. 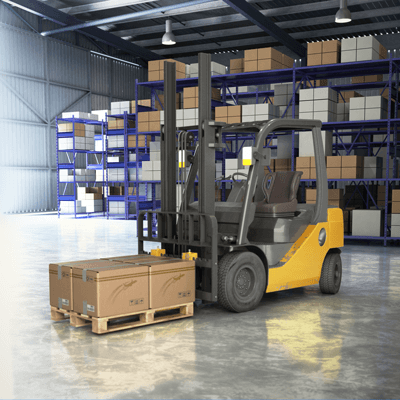 Our warehouse facilities offer a climate controlled environment, 8 dock doors with levelers and a drive-in ramp for ease in loading and unloading. In addition, our warehouse offers state of the art security features as well as a 2,000-foot caged area for valuable items. Zipp Express offers specialized delivery service options for your convenience. You can schedule your delivery requests online and follow the tracking in real time. Our specialized delivery service options include seasonal delivery, distribution services, team services, after-hours, and asset recovery. Zipp Express services are available for all your St. Louis metro courier service needs. Zipp Express delivers everything you need to move. From small envelopes to full truck loads, Zipp Express gets it where it needs to be…on time, every time. We offer St. Louis metro area deliveries including one-time, daily, weekly, and monthly scheduled deliveries, as well as expedited and warehouse service. Our delivery service areas include metro St. Louis, Columbia, Southeast Missouri, and parts of Illinois. Our expedited delivery services are available regionally and nationally in all the contiguous United States. Zipp Express has been locally owned and operated, delivering packages in the St. Louis metro area since 1989. We offer exclusive use autos, vans, trucks, flat-beds, and tractor trailers for all your delivery service, LTL, cargo and warehouse needs. If you need to get it there fast with direct delivery, 3-hour, same day or expedited delivery service, Zipp Express has you covered. We guarantee your items to be delivered, on time, every time. Email or call us today for more information or to schedule your delivery!